Omg what are words. WHAT IS AIR. HOW DO I POSSIBLY SUM UP MY INFINITE LOVE FOR THIS BOOK?!?!?! I've borrowed this a billion times from the library and ALWAYS sent it back unread because I peeked at the first page and...slang and no dialogue tags? Um. no thank you. I WAS A DELUDED PENGUIN BRAIN AND I CAN'T BELIEVE I DIDN'T GIVE THIS BOOK A CHACNE TILL NOW. IT IS BEAUTIFUL AND PERFECT. You know those books that you feel like are written For you because they do everything absolutely perfectly and do ALL your favourite things and just afjdsaklfd feels and intense flailing and omg, this book = I love it an astronomical amount. • Twins who are the sun and stars to each other and would die for each other. • HUGE emphasis on family and siblings. • A seriously tough narrator who is tough but relatable and ornery but not too proud to say sorry. • Tough grittiness that just makes me squeak with pure happiness. Omg, thank you bookish universe for this book, is ALL I CAN SAY. I'm 10000% convinced it was written for me. That is all. HAHA JUST KIDDING. I'M GONNA SAY MORE BECAUSE I'M OBSESSED. The more I read, the more I had these intense feelings of "How is this book so incredible?!" I have a really rough month of reading ... like all 2-stars and shoddy plots and just BLAH. But Blood Red Road was different and unique and exciting. And while the no-dialogue-tag thing bugged me originally, I got used to it. (I still am not entirely sure why there are none though?) And I LOVED how it was all lateral spelling like ezzack = exact; especkted = expected. It reminded me SO MUCH of The Knife of Never Letting Go (which I also adored; NO SURPRISES). And usually I hum and haw over my star ratings but I KNEW this was 5-stars all the way. ALL THE WAY FOLKS. And the characters?!?! They are my darling little tough spitfire babies. ALL of them were incredible. Even when they picked up minor secondary characters on the journey, I still loved them. BECAUSE THEY'RE TOUGH BUT RELATABLE. Usually, I see the tough characters who would chew you up for breakfast and I'm like "eh". But omg, these guys?!?! They all managed to feel so dimensional. • SABA: She's the narrator and so so ornery. She's hard and sharp and so mean, but she has intense feelings and she's just working hard to survive and not get hurt, you know? She loves her brother so much and she'd die before she gave up on finding him. I LOVE SABA. Although, she is flawed. TOTALLY flawed (this just makes me love her more, tbh) because hse has a little sister, Emmi, who their mother died giving birth to. Saba blames Emmi, which is stupid, but she's just MEAN to Emmi the whole time. And their relationship growth is just about the best thing of ever. • LUGH: He's Saba's twin. She describes them as the sun (him) and the night (her) and I loved them both so sos much. Obviously Lugh's not in the book much since he gets kidnapped in the beginning and the book is about getting him back. BUT. We do get a few scenes with him and he's so so lovely and wonderful. And I wanted them to save him so so bad. • JACK: Omg, Jack Jack Jack, how do I even describe my love for Jack?!! Obviously he's the love interest and I LOVE HIM TOO. SO YEAH. SABA AND I HAVE THAT IN COMMON. But they have a real hate relationship to start with and it's adorable I ship it so so hard. Why do I always ship the ones who hate each other?!? Gah. But they help each other and they save each other and they kiss each other, then they punch each other. And I just ADORE THEM. Jack is a snake and a charmer, and Saba is earth and reality. New OTP. 'Scuse me, I shall be over in my corner shipping. • FREE HAWKS: They're a group of outlaw fighting girls who go around causing havoc to evil and just are generally AWESOME. ...okay, okay there are more characters but I won't go into everyone. Least to say EVERYONE is dimensional and I loved all their names (Lugh! Saba! Epona! Ike! Tommo! Maev!). The plot is a bit of a journey, bit of a time bomb. Like Lugh was kidnapped and they have to a) find him, and b) get there before certain date. It makes the plot SO STRESSFUL. I couldn't put it down. And of course there are detours for battles and kidnapping and omg, all the cage fights. I think that was partly my favourite bit because it was SO INTENSE. Saba is a violent scary person and I love her. SO DID I MENTION HOW MUCH I LOVED IT YET?!?! hahahahah. *ahem* I do. Quite a bit. I shall be reading the next ones stat, because I am NOT happy with that ending. Like blood everywhere, but no no no it did not have a happily ever after and I'm so invested in these characters already that I need to READ FOREVER and see them have a HEA. (Ha. I bet they won't get one.) And I need more of Saba and Lugh and Jaaaaaack. I loved the pacing (although, tbh, it IS probably a bit needlessly long) and I loved the characters and the action and the dusty dry setting. I JUST LOVED IT, OKAY?!?!? How did I put it off so long...omg, I am so deluded. 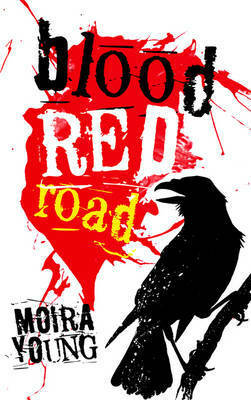 Sign into Goodreads to see if any of your friends have read Blood Red Road. 14.23% "I quite LOVE this. But the no dialogue tags is kinda killing me..."
50.81% "This is freaking AMAZING. Cage fights and searching for kidnapped siblings?! WAS THIS BOOK WRITTEN FOR ME OMG." 81.91% "I have soooo much love for this book I AM BASICALLY SUFFOCATING." OMG ARE THEY!?!? It would make a perfect movie. ughhh your review actually makes me want to reread ASAP!!!! @Lulufrances: I want to reread and I just finished omg. @Lexie: OMG GOOD. MY WORK HERE IS DONE. ok so i'm officially now reading this as soon as i finish six of crows!! seriously amazing review :)) can't wait to read thiSSS! Cait Grace wrote: "AFJDKALSD YAY ROSE, I AM SO GLAD!! (Let me know what you think?! And omg is Six of Crows good?! I'm seriously keen for that one!)" I will for sure it sounds like /perfection/ AND YES OMG. It's incredible, it may possibly be my favorite book of all time (THAT GOOD.) you should def try it!! Oh my goodness really a movie? That sounds pretty cool! I have read this book actually and it took me a chapter or two to get into the unique writing style but then it didn't bother me and I loved the story much like you did! I need the sequel! YAAAAS I LOVED IT TOOO!!! !